The L-12 is the perfect balance of size, feel and features. 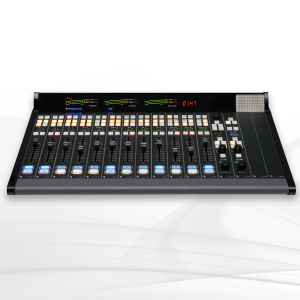 This newest IP control surface for the WheatNet-IP Intelligent Network has just enough faders to be effective in most on-air or secondary production studios, but not too many that it’s unwieldy to use and difficult to place in the modern radio environment. 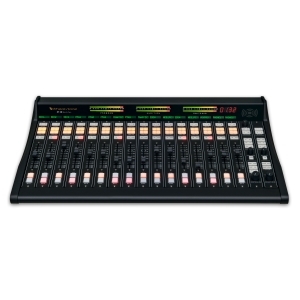 The new 12-channel L-12 is based on all the same design principles as Wheatstone’s popular L-8 and flagship LX-24 control surfaces – a precision-built, low-profile, tabletop IP control surface that offers assignable sources to any fader and with hot-swappable individual fader modules.It offers everything needed for mixing at your fingertips — the right controls and buttons and metering for assigning and recalling inputs, panning channel signals in the stereo field, and executing events and cueing sound. 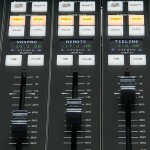 Each of its faders has four stereo output busses, a stereo cue bus, and its own individual Bus-Minus. An OLED source name display, an A/B source selector, and one programmable soft button are also provided, and a SET button gives access to assignable controls in the master section. Snapshots of the L-12 configuration can be saved and recalled at the touch of a button, making setup for different working sessions a snap. 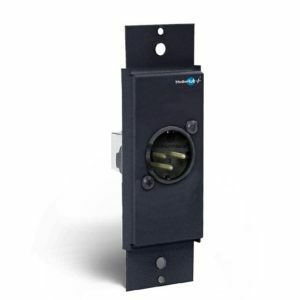 The L-12 has built-in cue speaker and its meter bridge features three sets of bright, high resolution LED meters. The L-12 is designed for use with the WheatNet-IP Intelligent Network.WheatNet-IP is Wheatstone’s popular audio-over-IP network system featuring Gigabit Ethernet throughput and logic control integrated with audio routing, providing operators with instant access to not only I/O, but the logic commands that go with I/O devices and audio. 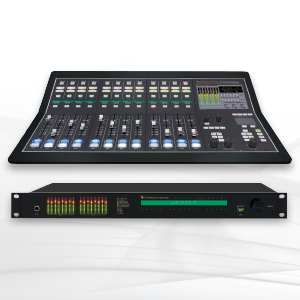 An IP88CBL Console Audio BLADE provides the audio mix functionality; additional BLADEs can be added for inputs and outputs in a variety of digital and analog formats. This new IP console is sleek, versatile, and low profile (no tabletop cutout needed). Just plug the L-12 into the WheatNet-IP Intelligent Network, and quickly assign any source of any type from anywhere in the network to any channel fader.